Brand-New Auslogics BoostSpeed 8 will be released soon! Comments Off on Brand-New Auslogics BoostSpeed 8 will be released soon! 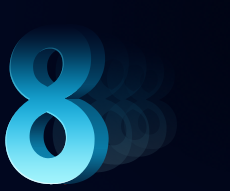 Brand-New Auslogics BoostSpeed 8 – just what your PC needs – is coming soon! Are you ready to meet the new and improved version 8 of Auslogics BoostSpeed? Our immensely popular all-in-one PC care package has been fully overhauled to support new technologies and to better meet the ever changing needs of our users. Completely redesigned the Auslogics BoostSpeed 8, including all of the included tools.We believe it now looks more professional and easier on the eye. The main screen now gives you the exact details on your system’s status and tells you what needs to be done at any given moment. Disk Defrag now offers boot-time defrags that take care of locked system files. Live Speedup section got some serious upgrades – you can now view detailed results for each of its tools in real time. Startup Manager now lets you manage tasks scheduled for other times, not just PC startup – kill all resource gobblers for a bigger speed boost. The program is Windows 10-ready – you can easily move it to a new Windows 10 PC if you buy one this year. There are more changes, more new features and improvements in Auslogics BoostSpeed 8. It definitely promises to be the biggest upgrade to date and we are really excited about it! Have an SSD? Extend its lifespan with Auslogics! This is pretty exciting news! The Disk Defrag tool in Auslogics BoostSpeed now offers safe SSD optimization. Many of you who have SSD drives have asked us to accommodate the special requirements that come with this drive type. You probably know very well that regular defragmentation should not be performed on solid-state drives. However, there are things besides defragmentation that can reduce SSD performance and cause such drives to die prematurely. These can be certain features or processes in Windows that involve constant writing of data to the drive (which we know is the main reason SSD’s may last less), or may otherwise have a negative effect on SSD performance, sometimes resulting in issues as severe as data loss. Auslogics’ Disk Defrag tweaks system settings to ensure your SSD drive gets as little strain put on it as possible, which promotes better drive health and a longer lifespan for it. You can save days of SSD usage time that could otherwise be lost to excessive reading/writing and other processes. Optimize your SSD right now with the latest BoostSpeed version!